A elegant and distinctive v-neck blanket poncho is made from 100% wool made locally 3 miles from our home from Irish sheep. This fabric is woven for extra softness. The garment looks stylish whether worn smart or casual. - Very soft and warm. - One size fits all - we designed this to be as versatile as possible for large and taller sizes as well as looking great on smaller size. 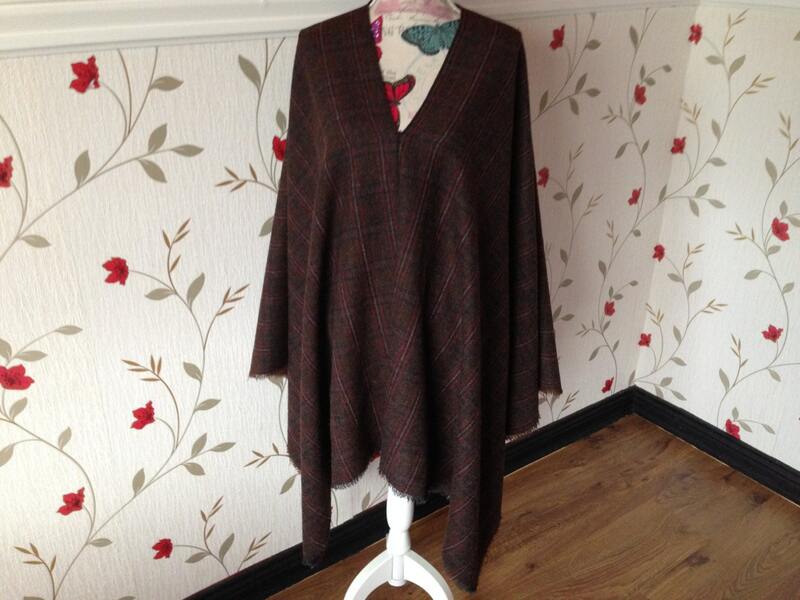 As this poncho is styles like a blanket wrap it naturally falls well complimenting a ladies figure. 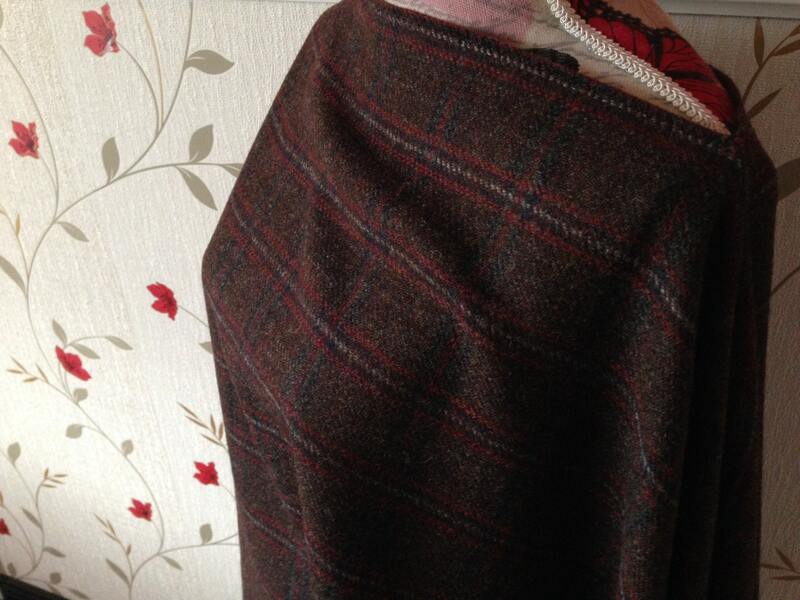 Fabrics sourced locally from the local woollen mills. Unlike others we do not import the cheaper thinner lighter and in my opinion inferior fabrics from Eastern Europe calling it Irish wool. 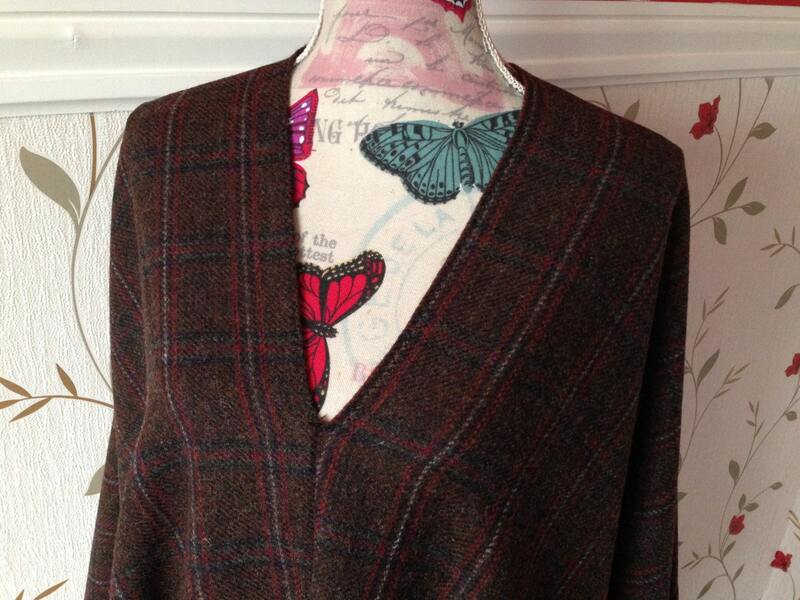 Others use wool blends calling it tweed. ( for example 60% wool 40% synthetic). 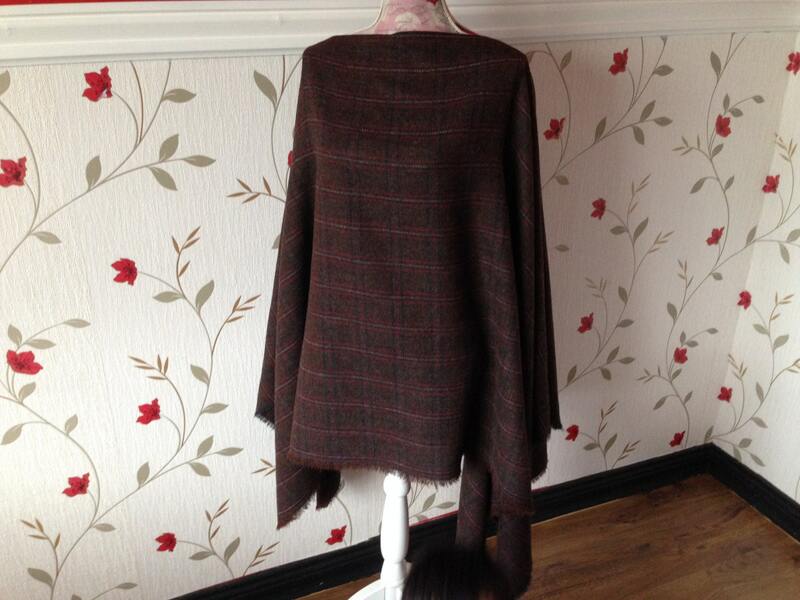 This is 100% wool which can be traced to the local woollen mills which make a higher quality weave. We have over the years developed a strong relationship promoting fabrics only made locally in Ireland. Thank you for supporting Irish Manufacturers. The McCaffrey Irish Store is a community based co-operative who make all our own products. Based on the Ring of Kerry in Ireland.